In order to make the house buying process run as smoothly and as less stressful for you as possible, we recommend a highly regarded local Firm, Cain Associates, to handle the conveyancing process. The company has been established in the area for over 25 years and its team has a combined wealth of experience, knowledge and expertise. Their service is evident from its high client retention rate, client satisfaction feedback and client referrals. As the conveyancing world is rapidly becoming more volume focused with little or no emphasis placed on individual client care, it’s becoming more of a rarity to find the client care that this Firm provides and at competitive and reasonable fixed fees. You can trust that you will be treated as an individual and not just a number. We appreciate that the house buying process in some cases can be extremely stressful as far as the client is concerned and we are therefore sensitive to all our clients’ needs and concerns. Furthermore we don’t flinch from saying what we mean. 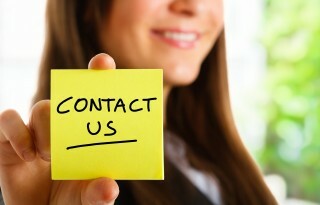 You can count on us for strong commercial or personal advice. We consider it to be in the best interests of all parties concerned to proceed with all matters as quickly as possible and we do not accept any unacceptable delay in our transactions. Furthermore, wherever possible we work closely with our clients’ estate agent, mortgage broker, surveyor and mortgage lender and consider ourselves to be the central point of focus in any transaction. Our mission is to provide private and commercial clients with legal advice for all their conveyancing and remortgaging needs in a fast, efficient and innovative way, using our vast experience and our negotiating and communicating skills. Our aim is to ensure that your transaction runs smoothly.